Saint Honoré’s elegant ladies Opéra timepieces have been among the company’s best selling models almost since the day they were introduced. Now, this popular design has become even more desirable, with the seductive new Opéra Black Éclair, introduced earlier this year at Baselworld 2012. The intense contrast of the jet-black case and chapter ring with the watch’s brilliant, sparkling center and bezel is simply dazzling. The magic of the Opéra Black Éclair is created by an exclusive new technique, called the Éclair Effect. This exclusive finish, developed by saint Honoré, gives the watch the dazzling look of high-quality pavé diamonds at a very reasonable cost. Never before has the look of pavé diamonds been so accessible to today’s fashion forward women. 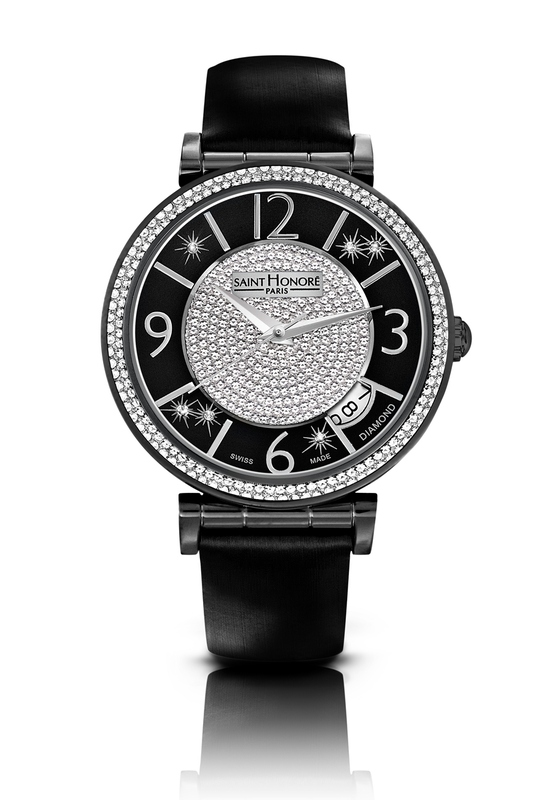 The saint Honoré Opéra Black Éclair retains all the stylistic touches that have made this design so popular. The classic round case is still available in 33 mm and 37 mm sizes. You can still change the strap in seconds to suit your mood and wardrobe too. What is different about this Opéra is the sparkle. There is simply nothing else like it. The beautiful dial is set with six genuine diamonds that enhance the glittering Éclair Effect. 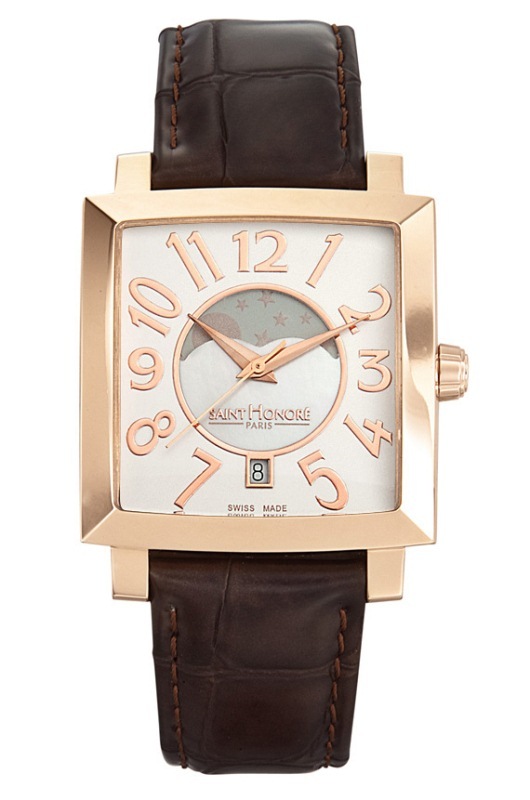 With the saint Honoré logo at twelve o’clock, a convenient date window between four and five, and a classic three-hand display, the total effect of this watch is like having a perfectly proportioned little black dress on your wrist. The Opéra Black Éclair is powered by a precision Swiss-made quartz movement and is protected by a scratch resistant sapphire crystal, as well as a stainless steel case that is water resistant to 100 feet. The watch also comes equipped with a spectacular black satin strap that can be easily changed to suit the wearer’s taste. For over 125 years, Paris-based Saint Honoré has been setting tomorrow’s fashion trends by developing innovative new ways to combine art and technology. The dazzling new Opéra Black Éclair may just be their most impressive creation yet. If you’d like to see how this horological little black dress looks on your wrist, contact your authorized saint Honoré dealer immediately and reserve your own Opéra Black Éclair today. Today’s complicated women are demanding timepieces with complications of their own. 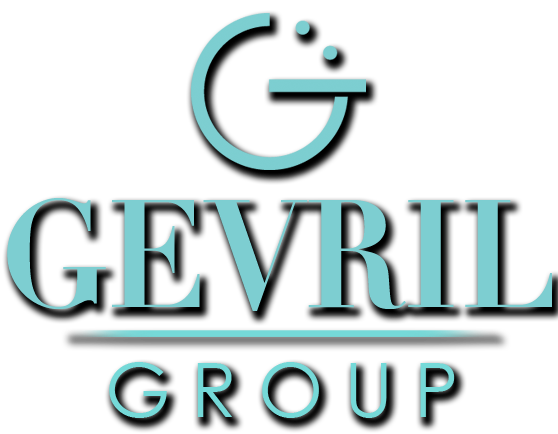 In fact, ladies timepieces featuring additional complications have become today’s hottest fashion trend. To tap into this desire for more than just the time, saint Honoré recently introduced the spectacular Orsay Lady Moon Phase at Baselworld 2012. This glamorous new Orsay edition has it all. 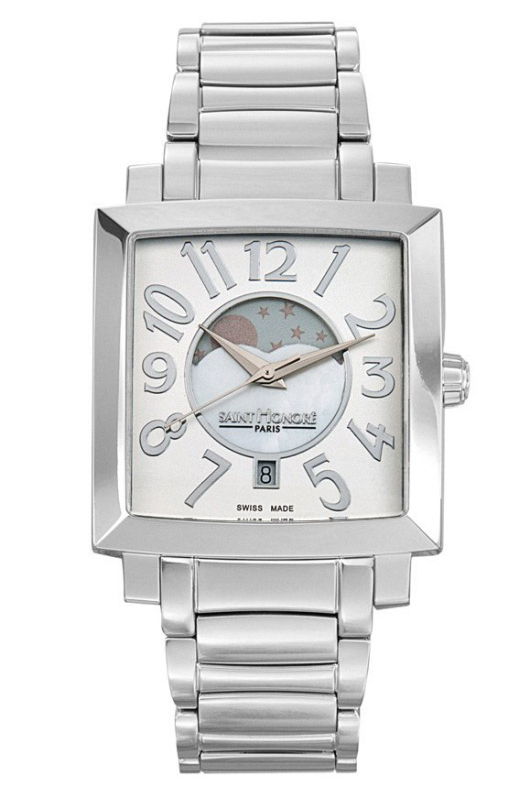 With its timeless Art Deco styling and impeccable attention to detail, the Orsay Lady Moon Phase watch provides the perfect accoutrement to any woman’s wardrobe. The central moon phase complication, with its lustrous mother of pearl dial insert, draws the eye to the chic and contemporary 34 mm square case. 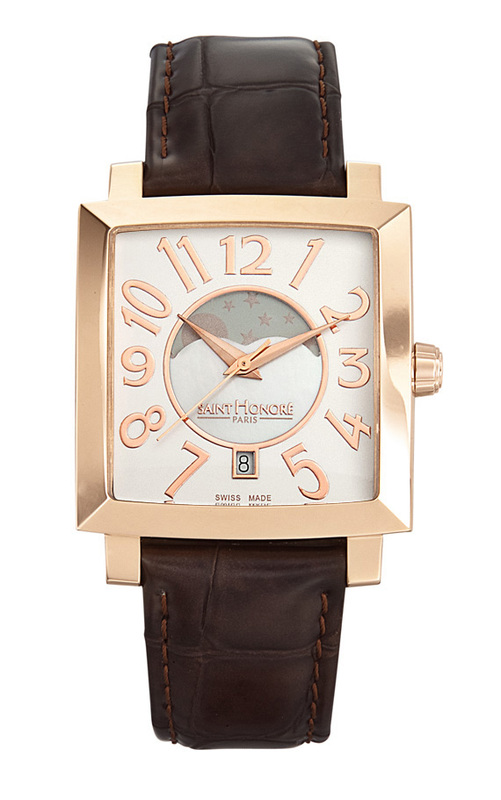 Attractive, applied Arabic numbers circle the moon, and an easy-to-read date window occupies a place of honor directly below the saint Honoré logo at 6 o’clock. A scratch resistant sapphire crystal protects the artfully understated dial, and the crown is adorned with the saint Honoré logo. 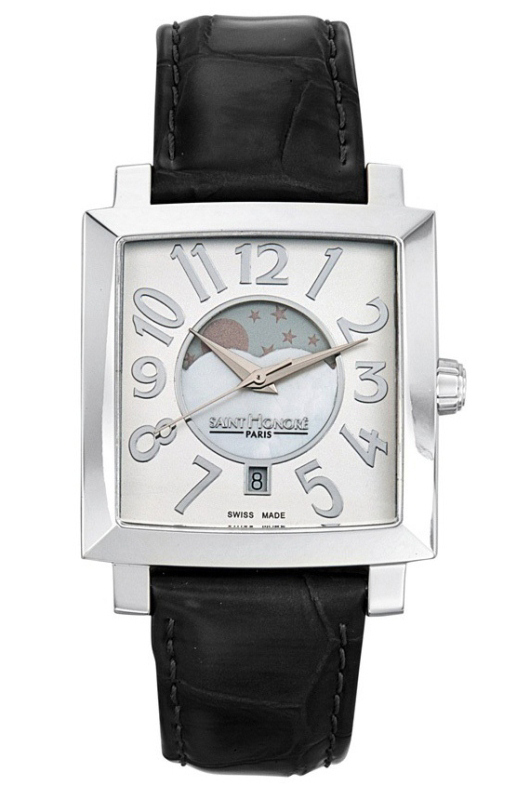 The watch is equipped with your choice of a beautiful genuine leather strap or an integrated stainless steel bracelet. The new Orsay Collection is available in rose or yellow gold PVD plated versions, as well as stainless steel. All Orsay Lady Moon Phase timepieces are powered by a precision Swiss made quartz moon phase movement and are water resistant to 100 feet. 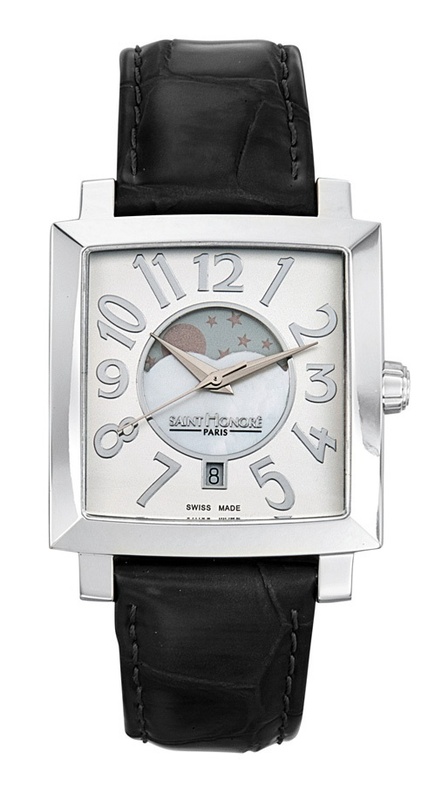 Like every saint Honoré design, the Lady Moon Phase is continuing to define tomorrow’s hottest styles for today’s fashion forward trendsetters. This 125-year-old Paris watchmaker is unsurpassed in its ability to combine art and technology in a harmonious package that any woman would be proud to wear. If you’d like to see how an Orsay Lady Moon Phase complements your own personal style, contact your authorized saint Honoré dealer immediately and ask for the moon. During its brief 24-year history, Haurex has developed a reputation for quickly translating emerging fashion trends into extremely wearable, fashion forward timepieces. 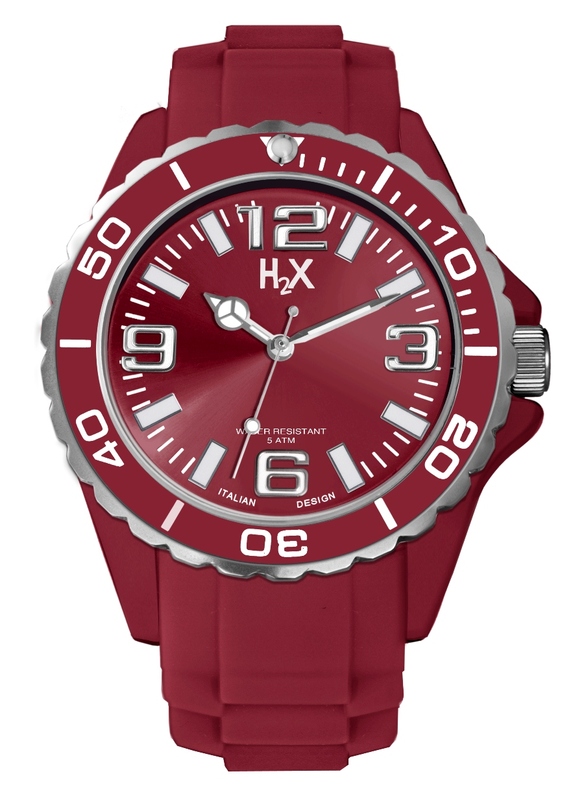 Now, this innovative Italian watchmaker has done it again with their exciting new H2X Essential line. 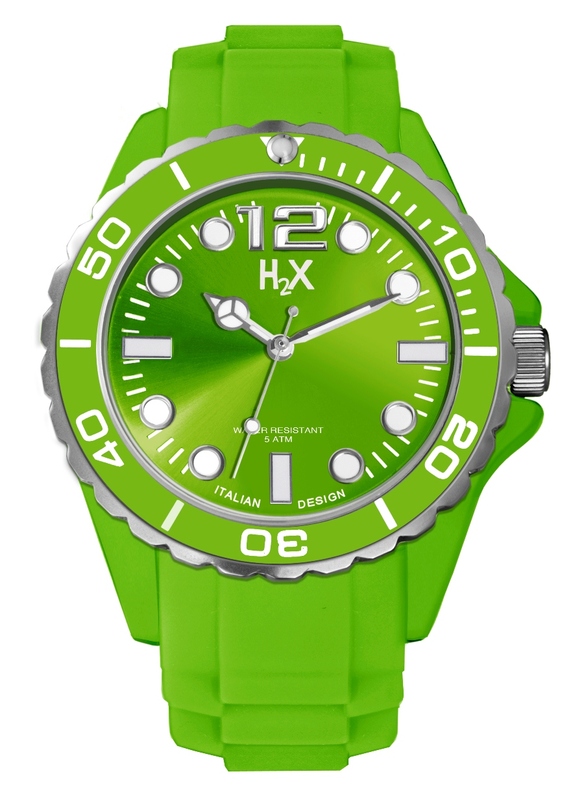 First introduced at Baselworld 2012, Haurex H2X timepieces utilize soft materials like rubber and silicon in today’s most fashion forward colors and patterns to create affordable and essential fashion accessories. H2X Essential has something unique for everybody; even the H2X Essential packaging materials are fresh and original. The brightly colored Splash unisex watches come in a clear glass container that resembles a fish tank. The H2X Reef and Lady Reef collections feature a protected corona crown and unidirectional rotating bezel. The silicon case for the Reef has a stainless steel back and is water resistant to 165 feet. 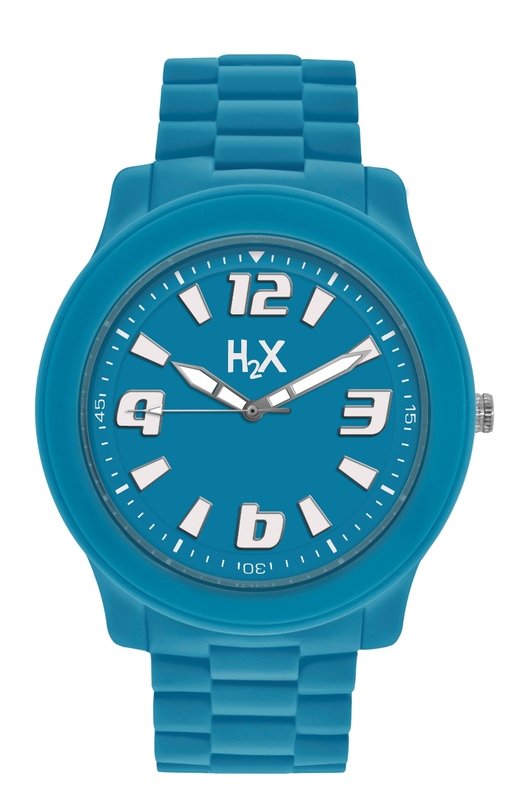 All H2X timepieces, including the fashion forward unisex Splash collection are powered by a precision quartz movement that will provide years of reliable service. When Maurizio Bianchini and Giuseppe La Guisa founded Haurex in Bologna, Italy in 1989, they were determined to make Italian design affordable and fun. 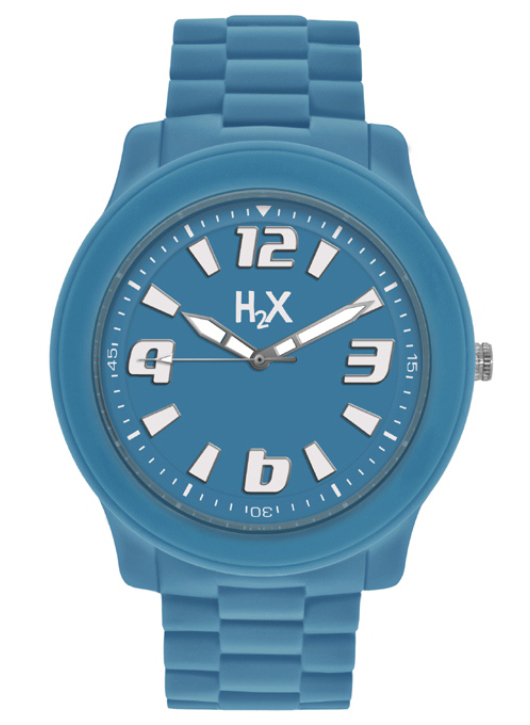 Haurex was among the first to popularize the use of colorful anodized aluminum for watch cases. Now, they’ve taken color even further, utilizing the latest manufacturing techniques to create a playfully fun timepiece that is brighter and more colorful than anything on the market today. The entire line of Haurex H2X Essential timepieces provides fashion forward men and women with a whole new way to wear accessories. To experience the excitement of the Haurex H2X line for yourself, it is essential that you contact your authorized Haurex dealer immediately. 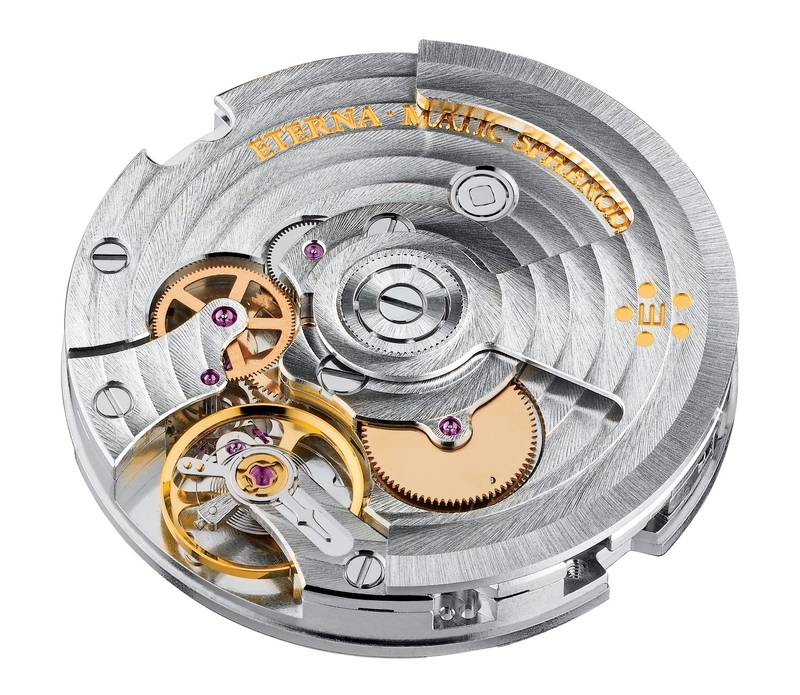 Eterna has been making superlative timepieces for over 150 years from their home at the base of the Swiss Jura Alps. When other manufacturers abandoned the mechanical watch in favor of less expensive quartz designs, Eterna continued to produce its own movements in-house, introducing a waiting world to some of the most innovative advancements in watchmaking. Now, Eterna has done it again, with the introduction of the spectacular new Eterna Adventic at Baselworld 2012. 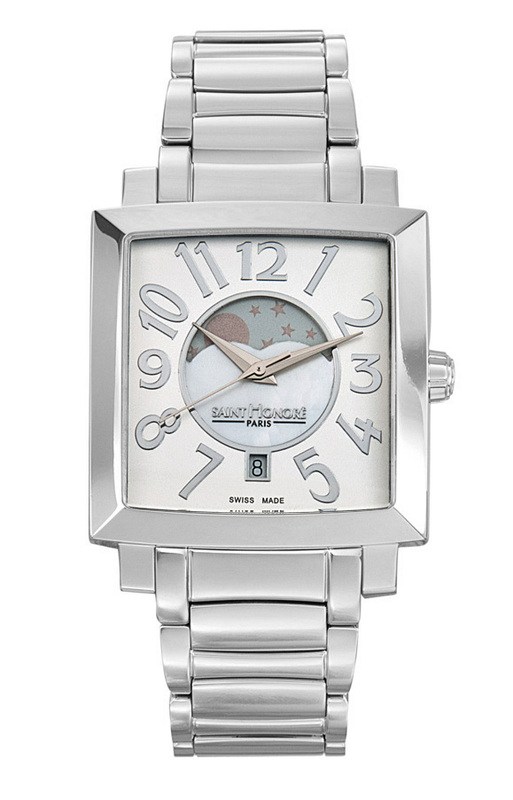 This groundbreaking timepiece is the first to incorporate an all-new, proprietary 26-jewel Eterna Calibre 3843 movement. Built around the revolutionary Eterna Spherodrive mechanism, the Calibre 3843 is the first automatic mechanical movement in the world to take advantage of the Spherodrive’s almost frictionless zirconium oxide ball bearing technology. 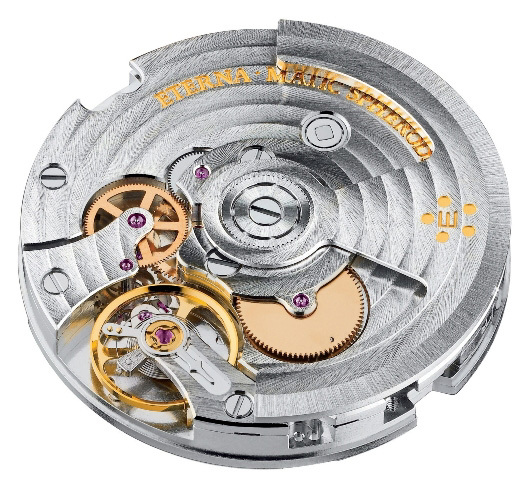 The successful marriage of the Spherodrive mainspring barrel with an automatic winding mechanism has allowed Eterna to create one of the most accurate and reliable automatic timepieces ever produced. The Eterna Adventic is not only one of the world’s most technologically advanced timepieces, it’s also one of the most beautiful. Eterna craftsmen took their inspiration from the classic Eterna Centenaire watches from the 1960’s and refined the design to suit contemporary tastes. 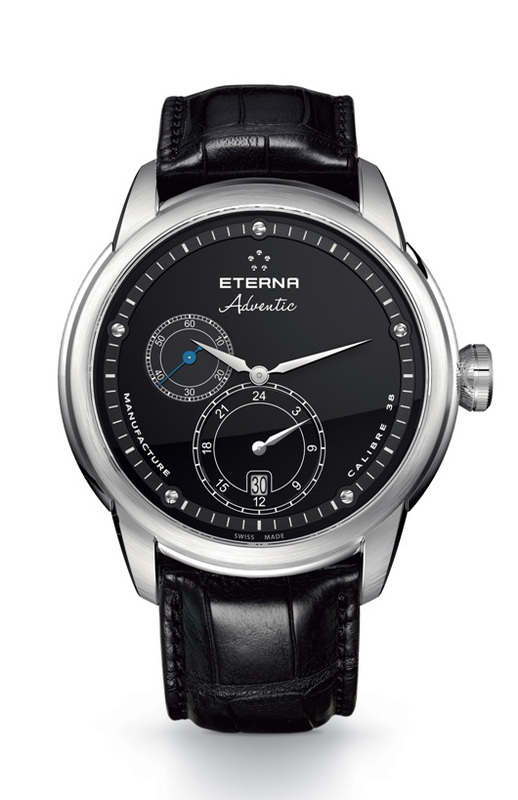 The result is a quiet elegance that showcases Eterna’s ongoing mastery of the watchmaker’s art. This spectacular 44mm timepiece is available in three models: stainless steel with a black dial, stainless steel with a white dial, or a special 4N rose gold edition limited to just 50 pieces. An inspired dial features a small running-seconds subdial between 9 and 10 o’clock, along with a date window and 24-hour GMT display at 6 o’clock. The watch is equipped with an anti-reflective sapphire crystal and fitted with your choice of a black or brown alligator strap and a practical deployment clasp. 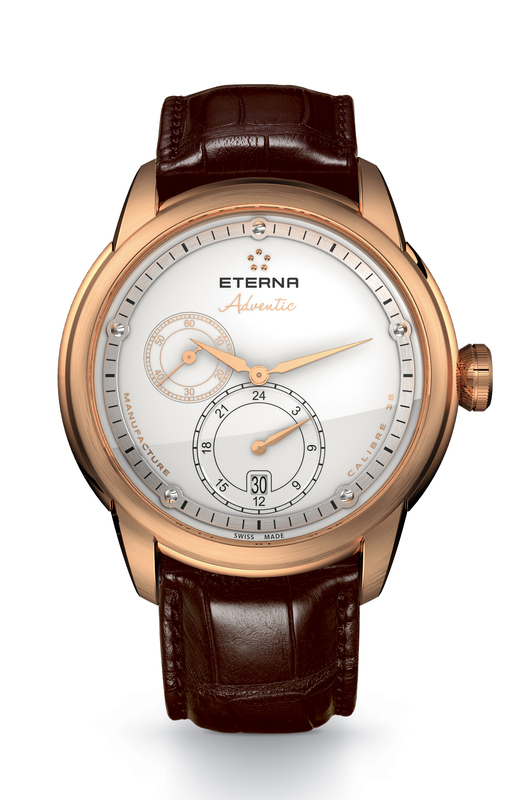 Eterna is one of a small handful of manufacturers who still take pride in advancing the traditional craft of watchmaking. Now part of the China Haidian Group, Eterna continues to craft exceptional watches of lasting value and mechanical perfection. 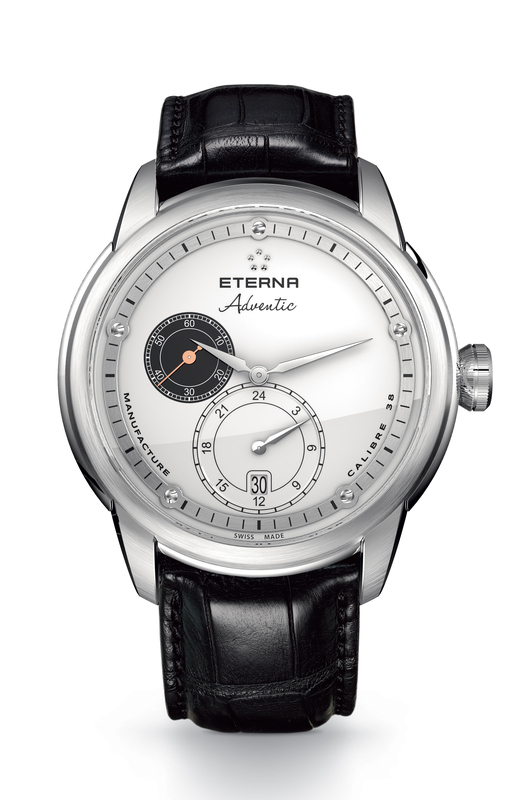 If you are interested in acquiring something that is as innovative as it is beautiful, contact your authorized Eterna dealer immediately and reserve the spectacular new Eterna Adventic today.